There’s a surge in online shopping in the country, and it’s fueled mainly by the entry of international e-commerce platforms in recent years. At least one international e-commerce site has set up shop in the country yearly since 2012 in an effort to expand their footprint and take advantage of the growing middle class market in the country. According to statistics portal Statista, total revenue from local e-commerce sites is set to reach $1.5 million by yearend, an 18-percent increase from its forecast for 2017 of $1.2 million. Lazada and Zalora, both of which are under German firm Rocket Internet, emerged as the two most visited e-commerce sites in the country, according to a report by online shopping aggregator iPrice in October 2017. They were followed by Singaporean startup Shopee and American giant eBay. Except for Zalora, which sells mainly fashion and beauty items, the other sites offer a wider variety of products from cooking utensils to the latest gadgets. But all of them also serve as marketplaces for other vendors to sell their wares. No doubt, the establishment of more online marketplaces has opened up business opportunities for budding entrepreneurs who resell other products from well-known brands on these e-commerce platforms. However, it has also given rise to the proliferation of fake and counterfeit items in these sites, which is a growing problem faced by the global e-commerce industry, even for a giant like Amazon. 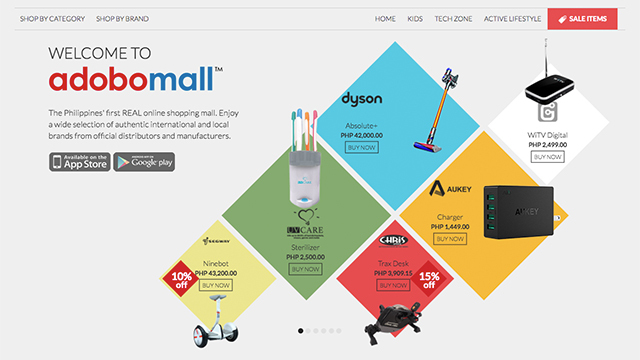 A newly established local online store, Adobomall, is trying to address the problem and set itself apart by selling only genuine items direct from legitimate and official distributors. Adobomall officially launched in November last year with only nine brands. Despite its policy of rejecting resellers, the number of brands it is offering has grown to 600 as of January 2018. These include concept and specialty stores such as Chris Sports and Digital Walker and big brands like Samsung and Coca-Cola. “At least 50 percent of merchants who apply don’t get accepted in our platform just because they didn’t have the necessary papers. 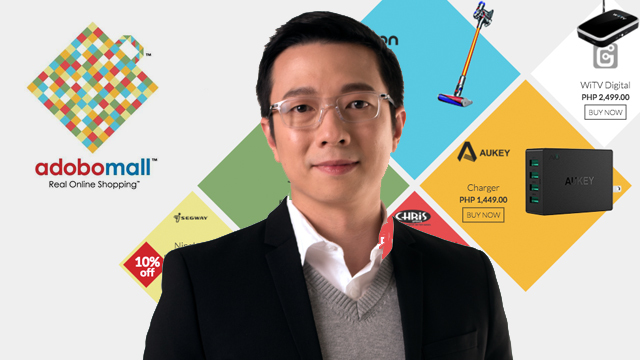 We don’t take in resellers because we take care of our merchants,” Adobomall founder and CEO Walt Steven Young told Entrepreneur Philippines. Young credits the rise in the online store’s brand portfolio to Adobomall’s policy of valuing authenticity above all. While most platforms let big and small stores cannibalize each other, in Adobomall, a store’s brand equity is maintained. Just like in malls, brands and concept stores run their own storefronts in the platform, which means their pages may be customized. This way, a particular store’s branding is seamless from offline to online. And while that does not seem much of a change, the feature lets brands have access to data their pages collect over time. Adobomall’s strict policies have kept out many micro and small entrepreneurs who constitute the bulk of sellers in other bigger e-commerce platforms. But this may change soon. “We’re trying to create a service also for them [micro and small entrepreneurs] without compromising our value for authentic products. It would definitely be a different model,” he said. Young said some merchants they’ve worked with have shown certificates of authentication while, in some cases, they’ve reached out to the regional offices of brands just to ensure they’re working with the right people. So far, Young’s vision seems to be working. The number of transactions in December ranged from 5,000 to 10,000, “a huge jump from last year,” according to the entrepreneur. The numbers are sure to rise especially with new features on the site, including possible augmented reality shopping. Young’s drive for innovation is no big surprise. For more than a decade, Young has headed his own software company called Innerworks. The firm creates specialized programs for various backend office needs for companies worldwide. This extensive experience in the tech industry greatly influenced Young's decision to build Adobomall, even when innerworks is sailing smoothly on its own. "My parents, who are used to just doing trading business, doubted my idea [to build Adobomall] since it looks more complicated than the usual business models. Besides, I already have Innerworks and it's doing great. 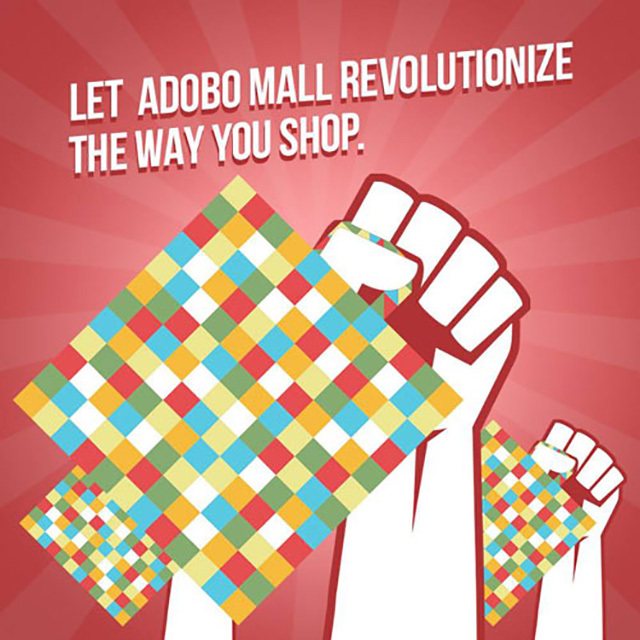 But I've always wanted to do something innovative and I really believe in the potential of Adobomall," he added.